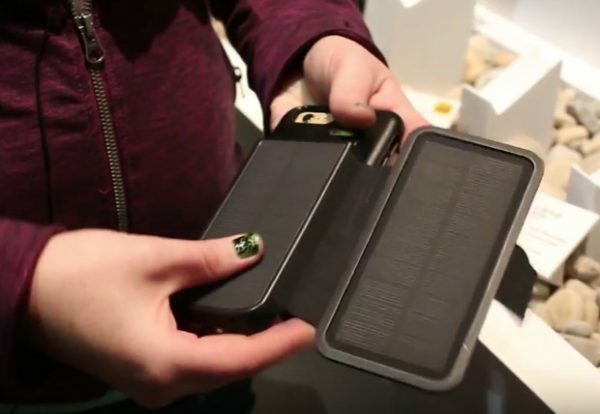 Goal Zero is a leader in portable power and lightweight solar panels so when the company partnered with OtterBox to create an all-in-one solar charging battery pack for your smartphone, it just had to create a good product. Fans of both brands will not be disappointed with the solution in Goal Zero’s new slide rechargeable battery that combines with the OtterBox uniVERSE case for the one of the longest lasting smartphone batteries on the market. As the name implies, the slide batteries slides into the back of the OtterBox universal docking port. In addition, coming out in Fall 2017 will be the Nomad Folio from Goal Zero. This extremely small solar panel offers solar recharging to the slide battery in eight hours of full sun.